Komen Greater NYC's Young Professionals Committee (YPC) is a group of rising young executives and professionals whose goal is to engage a new generation in the culture of philanthropy — inspiring them to join our mission: No one should die from breast cancer. 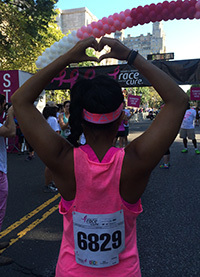 Since 2008, the YPC has raised $1.6 million for Susan G. Komen Greater NYC. The YPC has invested in life-saving research, as well as provided breast health screening, treatment, education and support services to medically underserved women, men, and families here in New York. 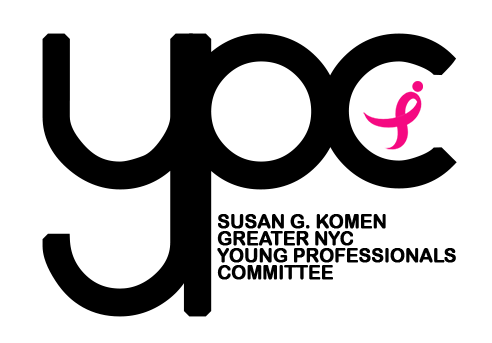 The YPC is dedicated to finding new ways to raise monies to fund innovative grassroots breast health programs that provide services to underserved residents in New York City, Long Island, Westchester and Rockland Counties, as well as to raise breast cancer awareness. Your donations and participation in YP events support these goals. Pink Rocks the Rock — the annual YPC summer celebration and Komen Greater NYC Race for the Cure kick-off event, which has been held at the Rink Bar in Rockefeller Center since 2011. The YPC was founded by Sandra L. Kozlowski, who served as its chair. Executive committee members were: Steve Simmons, Jill Surdyka, Pablo Ogarrio, John E. Petzold, Dawn Reinholtz and Nicole Sebastian.